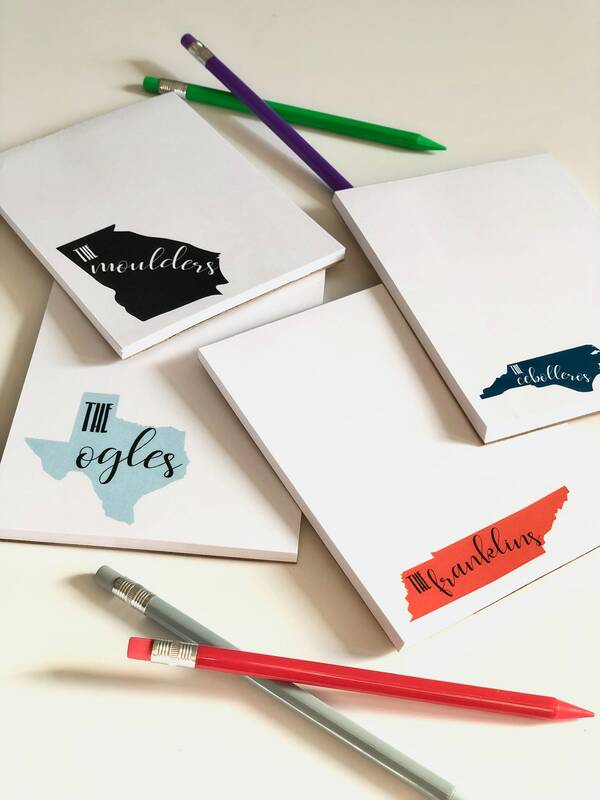 Show your state pride with these notepads! Each notepad contains 50 sheets and measures 4 1/4" wide x 5 1/2" tall. 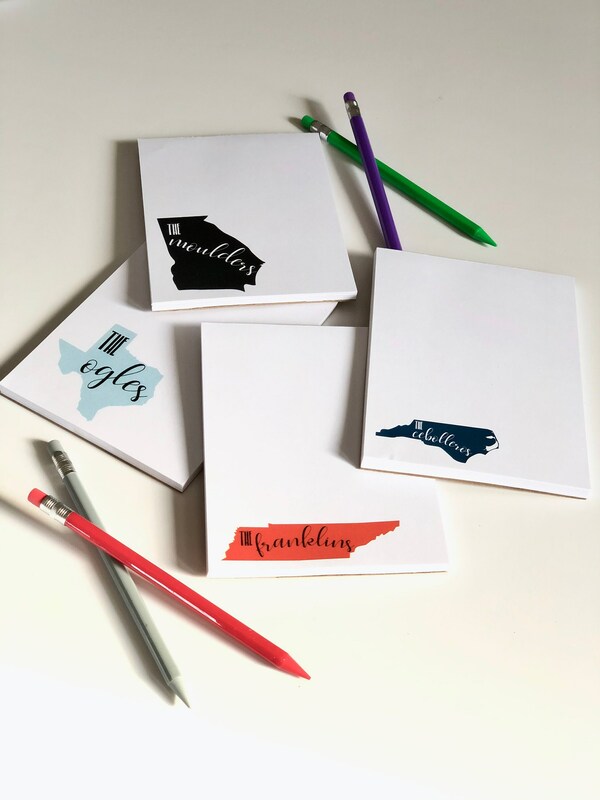 If you'd like to break the set up into 4 differently styled notepads, please send a convo with the details of what you would like on each of the notepads in the set. The notepads will each be packaged separately. When ordering, please view the image depicting the color choices. Choose color from the dropdown menu for the state and for the font. Then enter the state and personalization in the comments section. A proof will be sent to you within 48 hours (usually sooner) pending your approval to print. 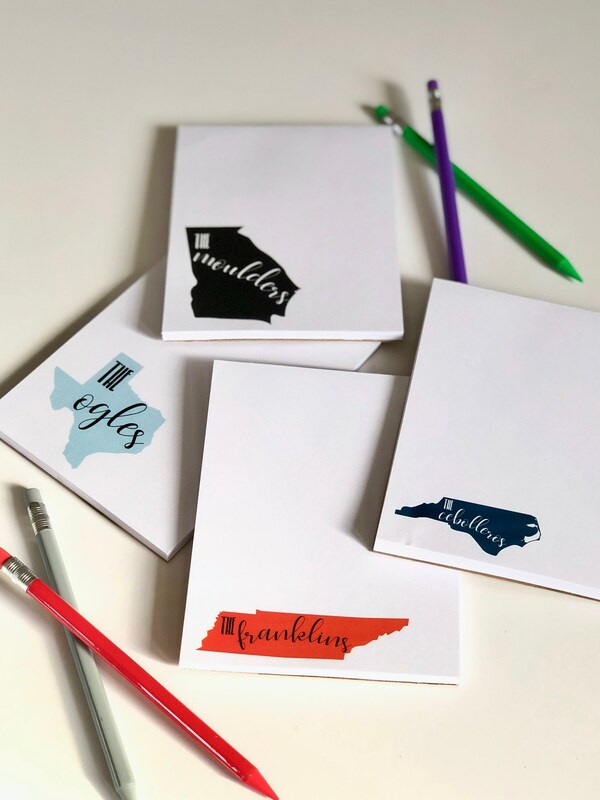 All four notepads will have the same artwork, font, and be printed on the same color of paper unless otherwise requested.